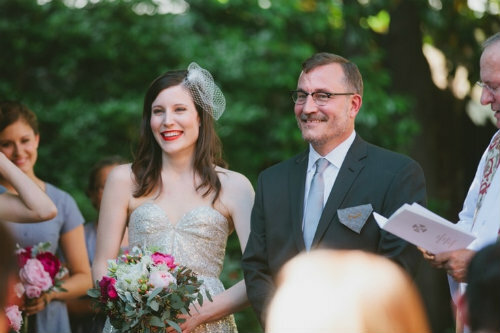 Back in the spring, Tim hinted at my making the veil I wore for our wedding. I really wanted to wait to publish the tutorial for making it here on the blog until I had a good final shot from wearing it. 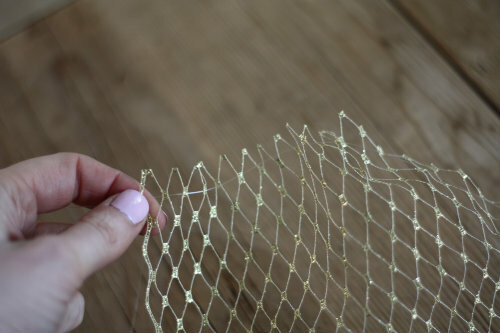 Well that day has come and passed — so today we're talking all about how to make your own birdcage veil! First, a little background. 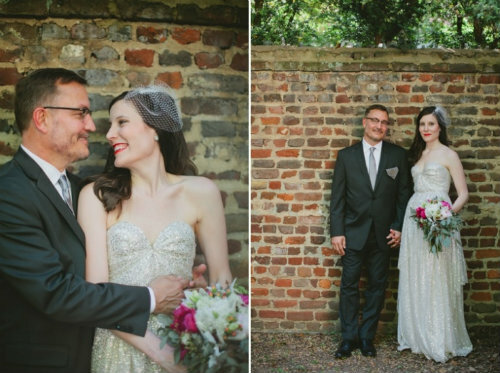 At first I just knew I wanted to make a metallic gold veil — my dress was going to be gold, so I thought it would make a nice compliment, and would be something a little different. 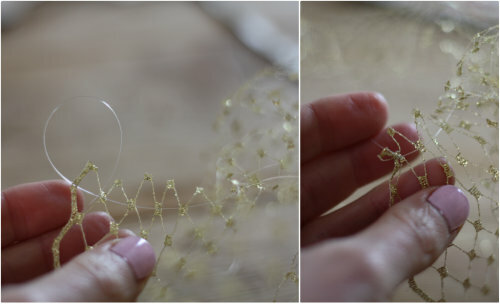 Long story short, I made the gold veil, which this tutorial is based off of, but when it came down to it, it was too much gold all together with the dress, so I made an identical one using ivory netting for the actual day. 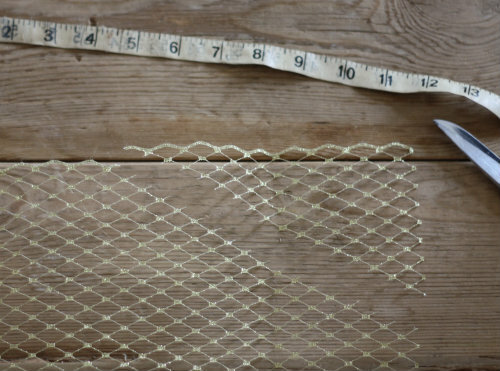 This will hopefully explain why this entire tutorial uses gold netting but the pics from the wedding show me in the ivory version — it was fun to make both though and now I have some really fun hair accessories for my nieces to play dress-up in when they come to visit. So! 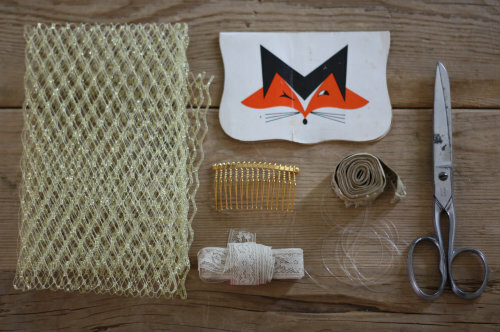 Let's get to it and make a veil! 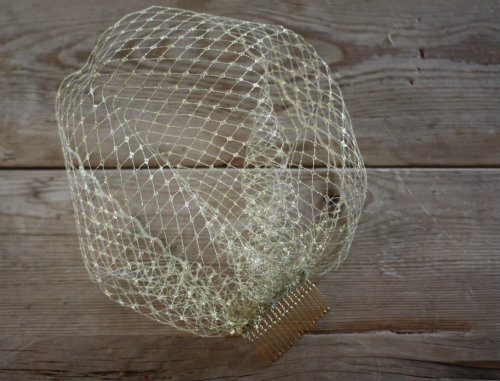 Veil netting (or millinery netting) usually comes in standard widths of 9, 12 & 18 inches. 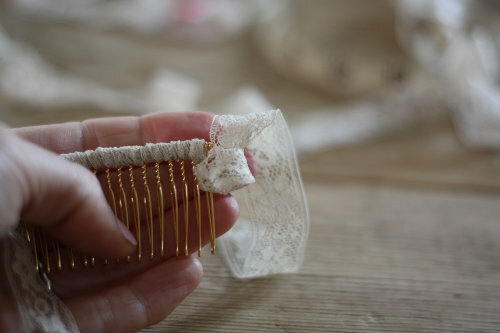 Choose the width you want based on how far you want your veil to hang from where you pin it in your hair. The longer the width, the longer your veil will end up laying across your face. 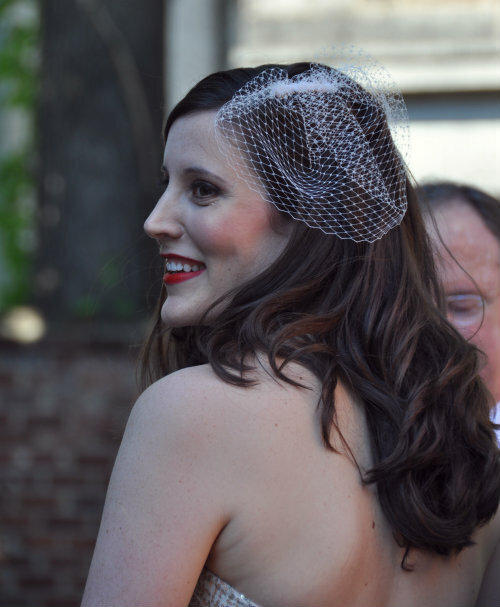 I really wanted more of a feeling of a veil rather than an actual veil covering any portion of my face or eyes during the ceremony, so I went with the shorter 9" width to make mine with. It's completely a matter of preference, so just keep in mind, the longer your width, the more coverage options you'll have to work and play with. 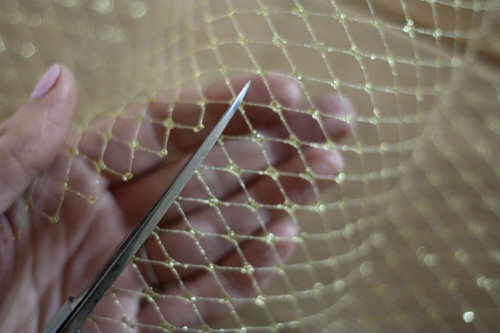 Another note on veil netting — the material is completely up to your and your tastes. I went with a Russian veil netting since it's got a little more structure to it (while I didn't want it to cover my face, I did want it to stand out as a bold accessory). 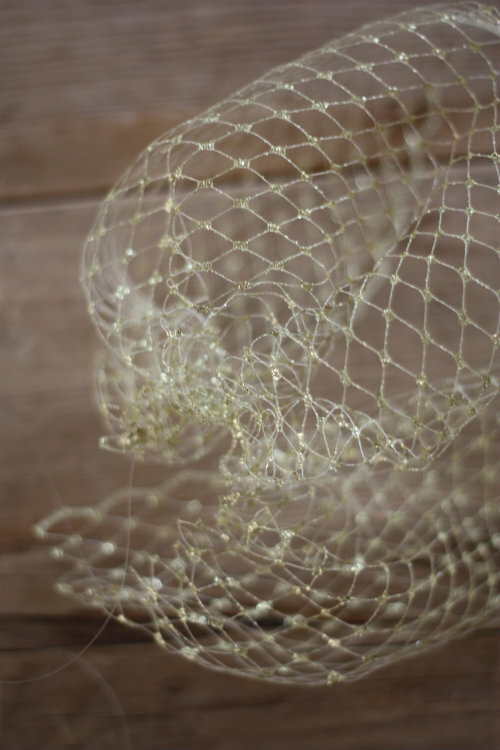 French netting is usually more delicate and subtle, and I'd also love a chance to play around with an almost transparent tulle, or even layer a couple different nettings together. 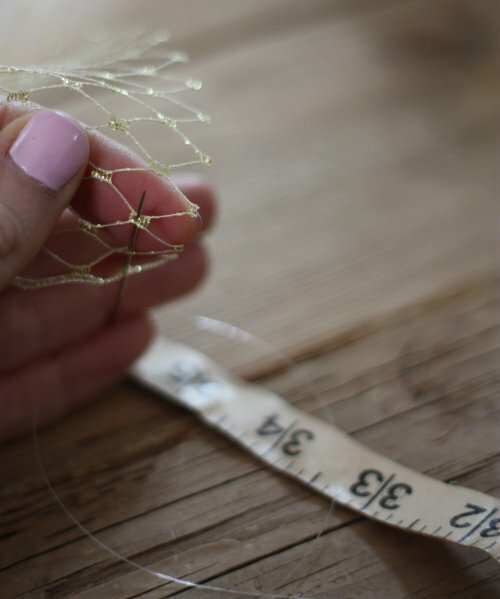 There are so many different types of millinery fabrics and tulles out there to play with — the options are limitless. 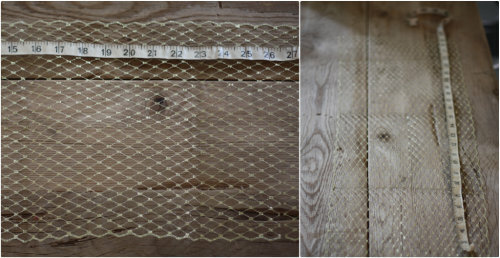 I measured how long to make the netting by gently wrapping it all the way around my face to the back of my head, then cut where the two edges would begin to overlap. This was roughly 27 inches and I have a head on the larger side (I'm one of those people that likes to make sure my big head is slightly further back than other people in photos to make it look more proportional, tell me I'm not alone on this). Note: the longest side you are left with will be the bottom of the veil — the portion that lies across your face, so make sure before cutting that your prettiest finished edge is on the bottom. 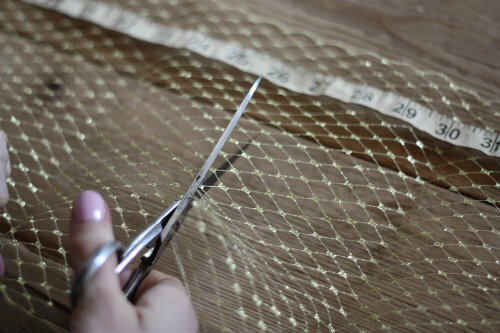 Start at one corner, closest to the longest finished edge and secure the thread to the netting by tying a small a knot. 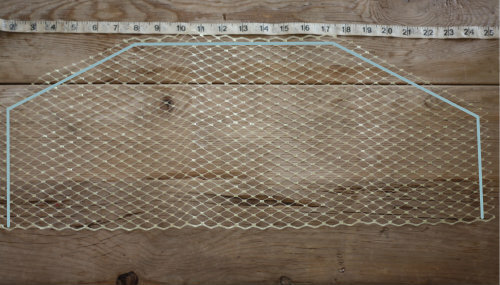 Then weave your needle and thread over and under through the diamond shapes, working your way all the the way around the 3 outside edges (outlined in blue above) to the other corner where your finished edge meets. 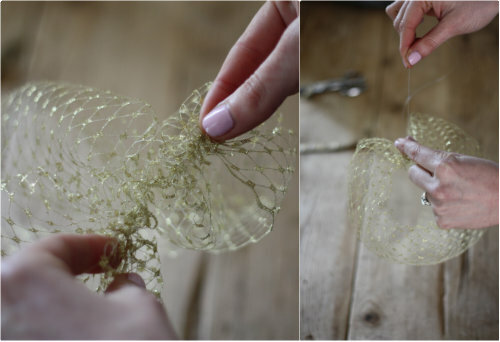 At this stage, you'll see the basic shape of your veil coming together. 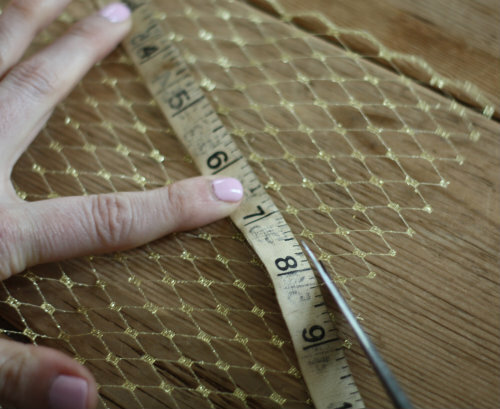 You can go ahead and play around with how the veil might fit and fall, laying it across different areas of your head and face — this is the perfect point in time to make any necessary adjustments to length, width, or cut of netting before moving on to the next steps. 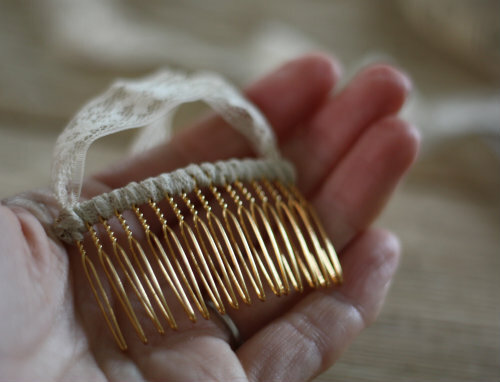 Secure the bunched ends by tying a knot of thread to the final corner of the netting, making sure not to bunch all the way — you want enough length about the width of the comb for sewing. 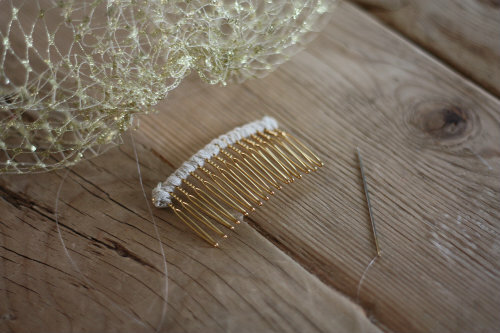 Since I used a nylon invisible thread, I used a lighter to very gently burnish the ends of the knots in place. 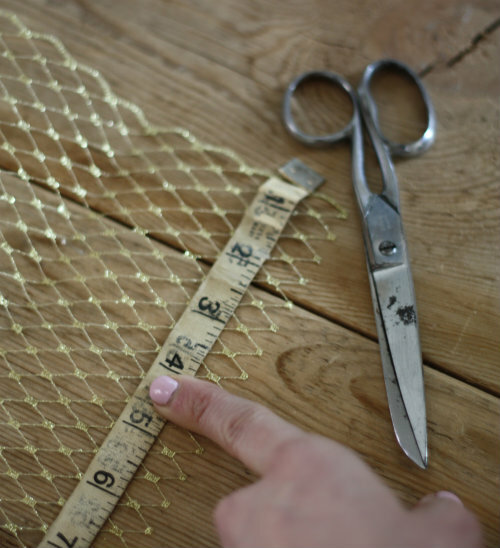 You can do so by wrapping lace ribbon or strips of tulle around the top edge of the comb to make sewing the bunched netting easier — the fabric wrapping gives the thread a little something to grab onto. 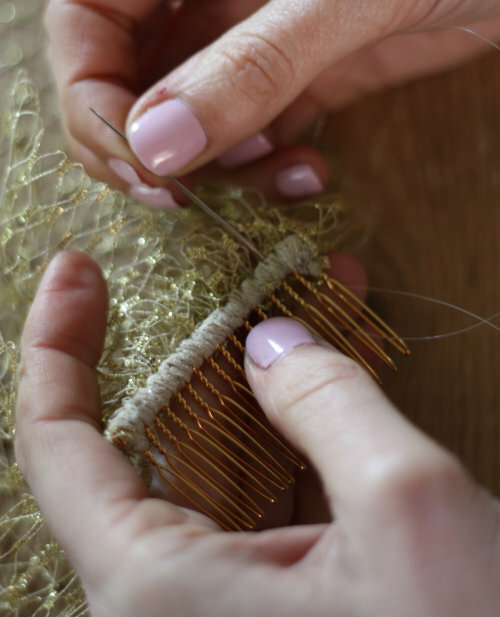 This would be the perfect area to use a swatch of sentimental fabric, for instance, if you have a piece of meaningful fabric or a piece of tulle from a family member's wedding gown or veil. 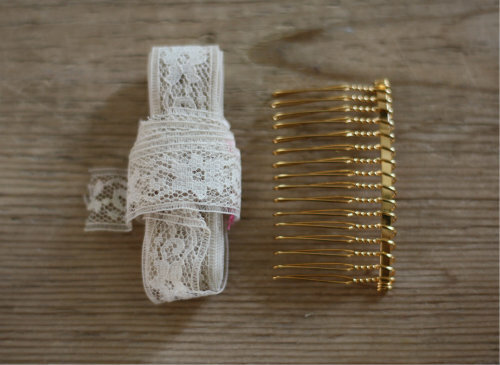 It would make a great way to incorporate a little something special into your own veil. 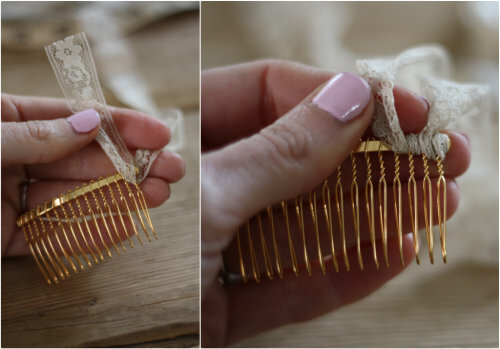 Snip any extra fabric for a clean edge and now your comb is prepped and ready to go! 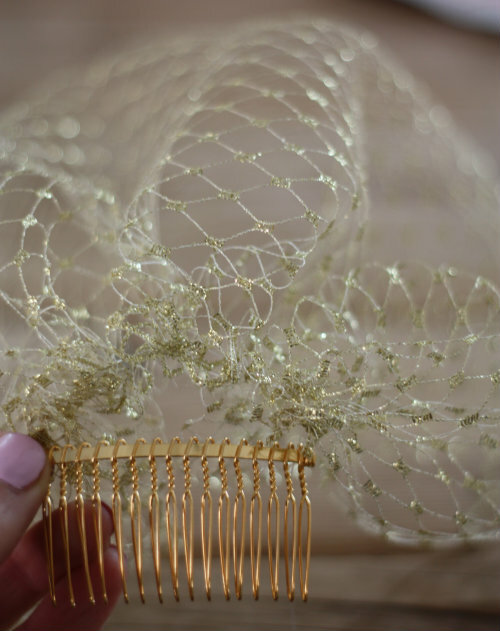 At this point, you can call your veil complete or you can add embellishments like silk flowers, feathers, or even meaningful jewelry to hide the area of the veil where the netting meets the comb. 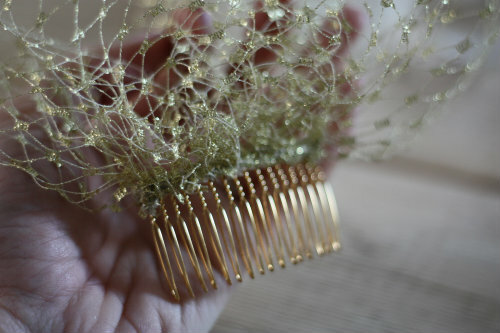 You could even use the leftover netting we cut in the beginning to create a little drama around the base of the comb. 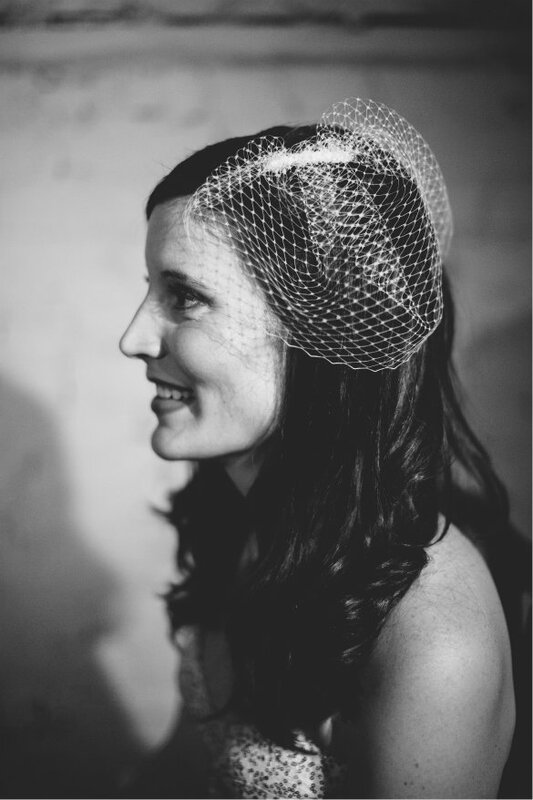 I hope I've helped you learn how to make a birdcage veil of your very own and maybe saved you a little money in the process. It definitely turned out to be one of my favorite pieces from the day since I was able to make it myself! 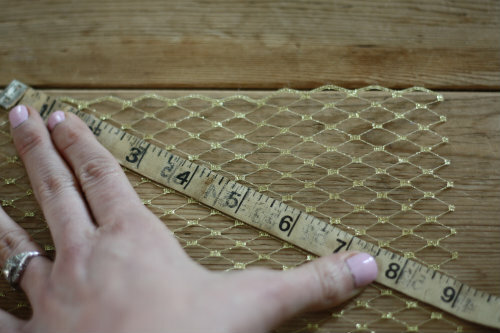 What measurement did you youth for width, this is about the size I want to make. I made one already, but found it too large. I believe I used 9 inches. I used the smallest width of 9 inches too. If you find it's too big for what you like, you could always cut some material off the very top edge, since this will all be sewn to the comb and not visible. I also found that the hair stylist was able to have a little more room to play with at the 9 inch length — she poofed the material up a bit, if this makes sense! 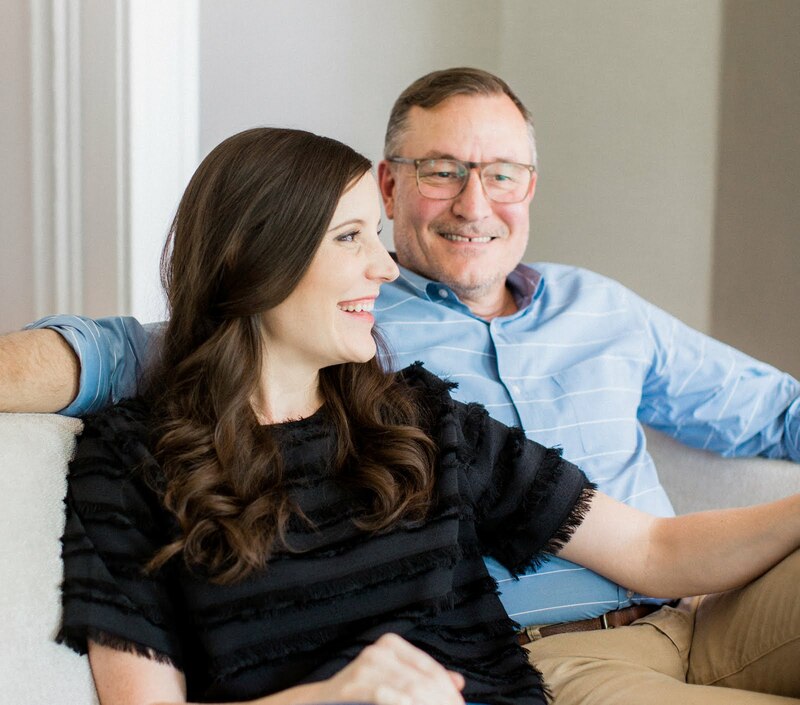 Dyno, congrats on your upcoming nuptials and we are so happy you are making your own! Please send us a photo of the finished vail we would love to see it! 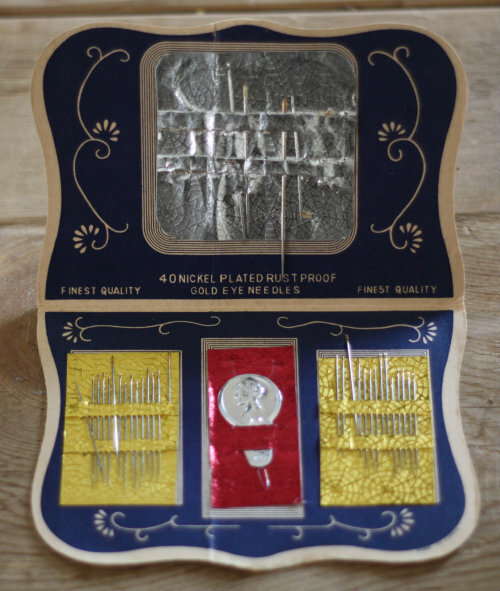 Thank you so much for the post! I had been wanting to make my own veil for my upcoming wedding because A) it's a bit cheaper and B) I get exactly what I want. Mine turned out gorgeous!! Just made my veil! And it looks amazing, thank you so much for this tutorial! You are quite welcome and congratulations on your up and coming nuptials!